Grand Cayman continues to look at creative ways to deal with plastic pollution. 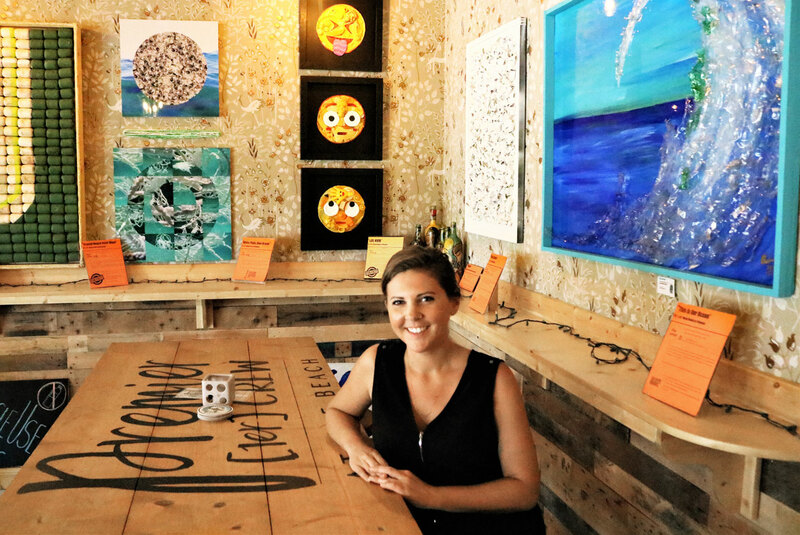 Trash Talks Cayman is an artist’s collective dedicated to creating with repurposed materials. With Earth Day in April, it’s appropriate that the Premier Wine and Spirits Tap Room has chosen to display the trash-based art for the month! If you’re interested in finding a beverage to enjoy on your private patio here at Aqua Bay, head on down to the Tap Room and check out the art work. To read the full article regarding the trash on display, please click here. It may just inspire you to do some repurposing of your own.